This panel features two ongoing projects coordinated through the Appalachian Center for Civic Life at Emory & Henry College, involving students, faculty, staff, and community partners. 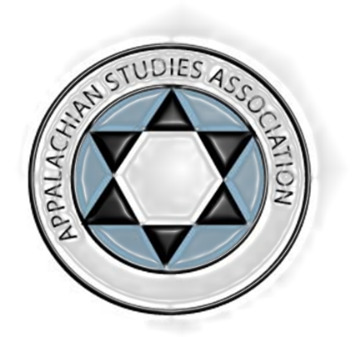 This panel will make connections between the histories and futures of two Appalachian places, suggesting lessons and insights for reweaving the fabric of American civic life. The first project involves accessioning, summarizing, indexing, and archiving thousands of court documents, business records, and family letters held by the Wilderness Road Regional Museum in Newbern, Pulaski County, Virginia. This archive will make available, among other things, a heretofore-unavailable window on the experience of slavery and race. The African American legacy of Newbern is part of the creative process to build a new public memory for America and Appalachia, which, as David Blight makes clear, can re-people American memory and reinvigorate American civic life. This part of the panel will feature previously untold stories of persons of color and the history of race and slavery in this Appalachian town. The second part of this panel will present work done in association with the Glade Spring Project. Glade Spring, Washington County, Virginia, has endured the vicissitudes that have affected many rural Appalachian places. Through a range of grassroots initiatives, the Glade Spring community has redefined and rebuilt its economy, and centered that rebirth in the Glade Spring Town Square. Based on its research of demographic trends and trajectories, the research team will offer recommendations for senior housing and other affiliated services on the Glade Spring Town Square. This presentation builds on the ongoing work of accessioning and archiving thousands of court documents, business records, and family letters held by the Wilderness Road Regional Museum in Newbern, Pulaski County, Virginia. Built to respond to the trade associated with the movement to the Old Southwest and Northwest territories in the early days of the American republic, Newbern was once the commercial center of this part of Southwest Virginia. With the migrations associated with the industrialization of Appalachia, and the decline of the agrarian economy, Newbern and the rest of Pulaski County have endured a long decline, in both economic vitality and in the vitality of its civic life. Focusing on several heretofore-undocumented stories and records of African Americans in Newbern, this presentation outlines the extent to which this community along the Great Road was forged in the crucible of American slavery. Building on the work of David Blight in Race and Reunion, the presentation suggests ways in which that legacy and those newly found stories can contribute to building a new public memory for this place, for America, and for Appalachia, which, as Blight makes clear, can reinvigorate civic life. Tal Stanley is the Director of the Appalachian Center for Civic Life and Chair of the Department of Public Policy and Community Service at Emory & Henry College. He is the author of The Poco Field: An American Story of Place. Also located along the route of the Great Road in Southwest Virginia, Glade Spring, Washington County, Virginia, has also endured the vicissitudes that have affected many rural Appalachian places. Once a thriving commercial center and railroad town, Glade Spring had become by the late 1990s a “ghost town.” Over the last twelve years, through a range of grassroots initiatives, the Glade Spring community has redefined and rebuilt its economy, and centered that rebirth on the Glade Spring Town Square. Based on its research of demographic trends and trajectories, the research team will offer recommendations for extending that growth and development by developing senior housing and other affiliated services on the Glade Spring Town Square. The results of this research will support Glade Spring’s efforts to secure funding for affordable housing for seniors and for others on or near the Town Square. A graduate of Plymouth State University, Tristan Nelson is Research Coordinator in Emory & Henry College’s Appalachian Center for Civic Life. He has previously worked as an AmeriCorps member for the Washington County Chapter of Habitat for Humanity. A native of Washington County, Virginia, Josh von Castle is Area Coordinator and Director of Student Activities at Emory & Henry College. He is also completing his first year of study in the Emory & Henry MA program in Community and Organizational Leadership. Megan Brittain is a native of Wythe County, Virginia and majors in Public Policy and Community Service at Emory & Henry. A junior, Megan is a Bonner Scholar. She is beginning work toward the 5th year MA degree program in Community and Organizational Leadership.